Arte Sella is an open-air art museum, among the best in Italy and probably in the whole Europe, which combines nature and contemporary art. 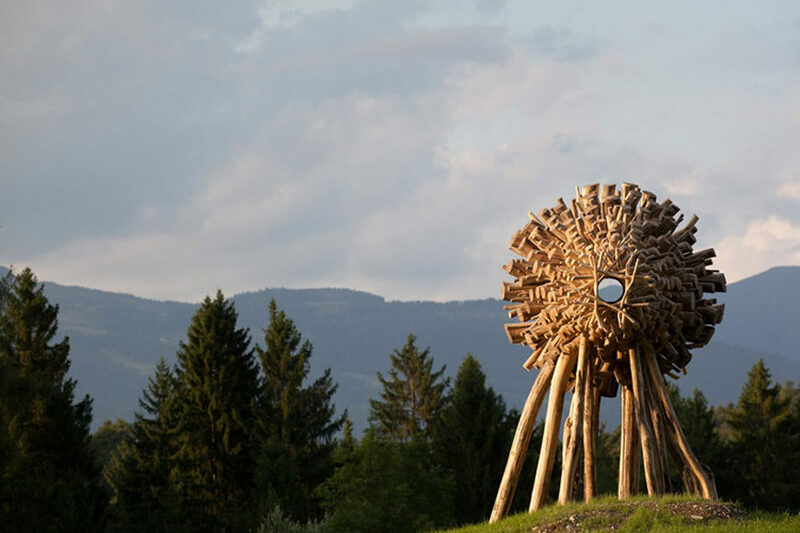 Located in a fir tree forest in the Valsugana alpine valley about 40 kilometers from the city of Trento, Arte Sella was founded in 1986 to promote a creative relationship between contemporary art and nature. The institution runs three distinct venues. The Spazio Livio Rossi accommodates the main office of the Arte Sella Association, a documentation center, a public library of contemporary art, educational and creative workshops, and a permanent exhibition area. This project was started in 2006 to offer a varied and lively cultural framework to visitors of all ages and with different cultural needs. The Arte Sella building in the centre of Borgo Valsugana also reaffirms people’s relationship with their territory and livens up the old town centre. Malga Costa is a restored mountain barn (a malga is a traditional Italian alpine farm) where various contemporary artworks are permanently on show, including the famous Cattedrale Vegetale (Tree Cathedral), an impressive giant wood sculptural installation by the Italian artist Giuliano Mauri. 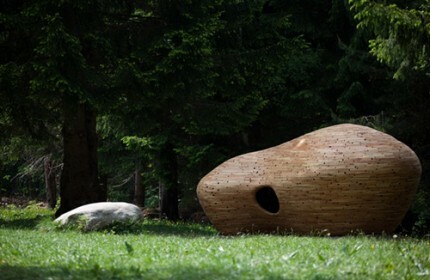 Inaugurated in 1996, Artenatura is a four kilometer-long “art trail”, running through a fir tree forest along which several sculptures, created by renowned international artists and mostly made of natural elements, are carefully positioned. Sometimes the pieces of art are tiny objects almost hidden in the surrounding forest, while sometimes are large works competing with the nearby imposing fir trees in a silent dialogue. Albeit a bit tricky to reach, if you are in the Trentino region, we warmly suggest you to do not miss this fascinating museum (and unconventional art experience). Since the museum is located in a forest, remember to wear hiking clothing and to consider at least thee hours for the full visit.